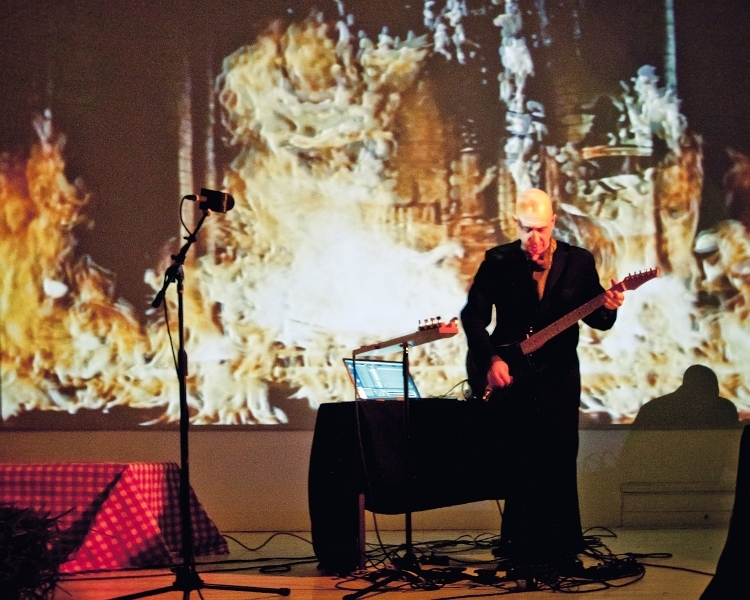 The Clocktower Gallery presents composer/producer Elliott Sharp's Beneath The Valley Of Gwangi, as part of the Spring 2012 Canyon Candy performance program. 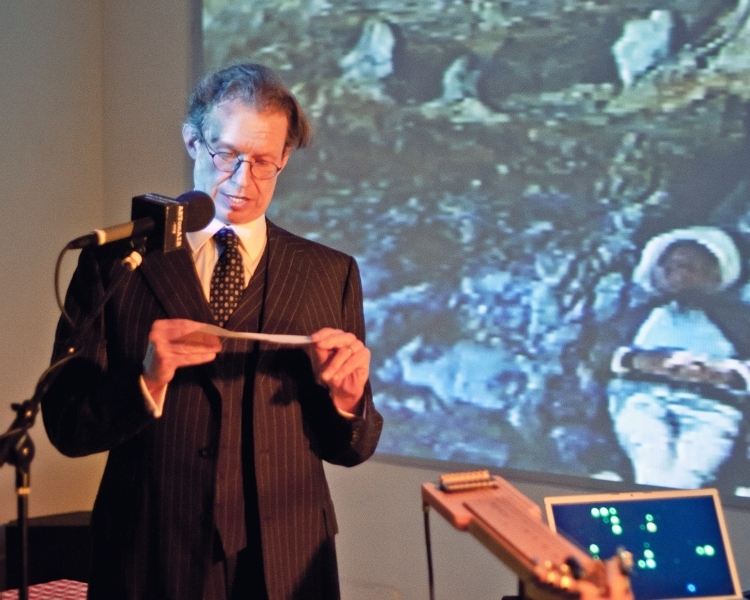 Sharp performs a live country/sci-fi score to the cowboys-meets-dinosaurs epic "The Valley Of Gwangi", a masterpiece of Ray Harryhausen animation - his final claymation work and Sharp's own favorite. The piece is introduced by author Jack Womack. 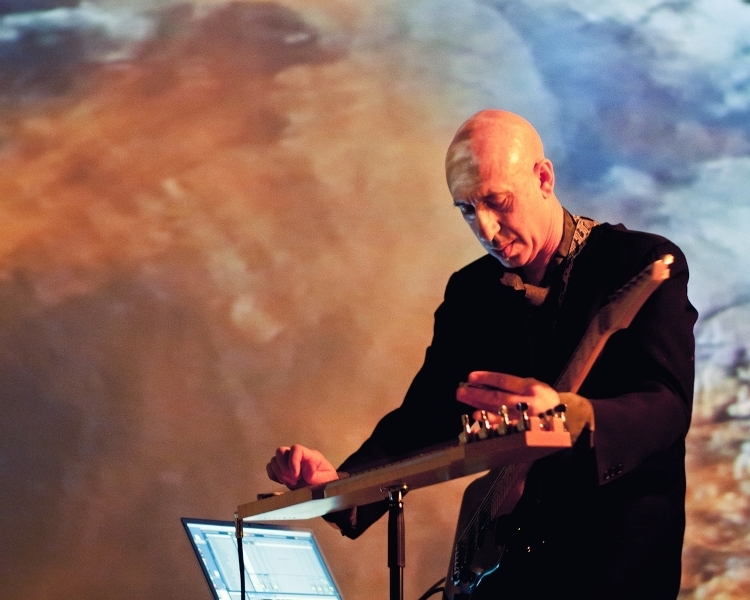 Elliott Sharp leads Carbon, Orchestra Carbon, Tectonics, and Terraplane and has pioneered the use of fractal geometry, chaos theory, and genetics in musical composition. 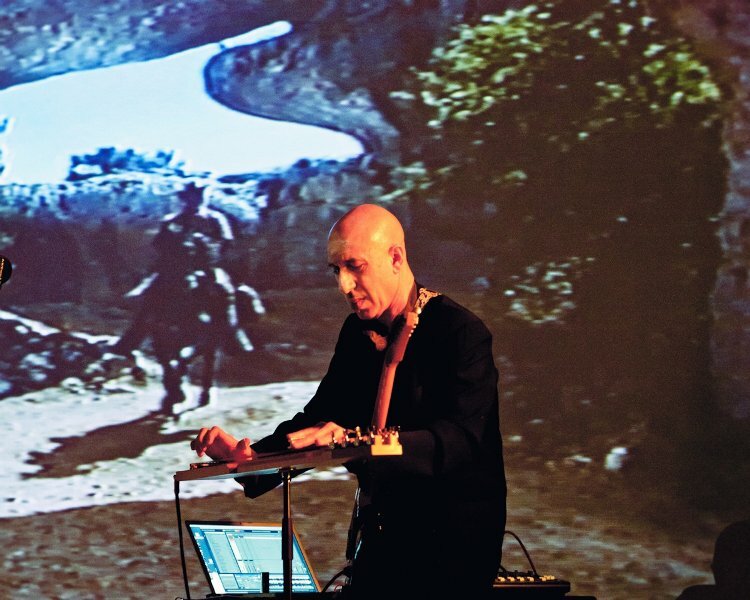 His work has been featured in the Venice Biennale, Donaueschingen, and Darmstadt festivals and his sci-fi opera for all-teenage performers, About Us, was commissioned by the Bayerische Staatsoper and premiered in Munich in 2010. 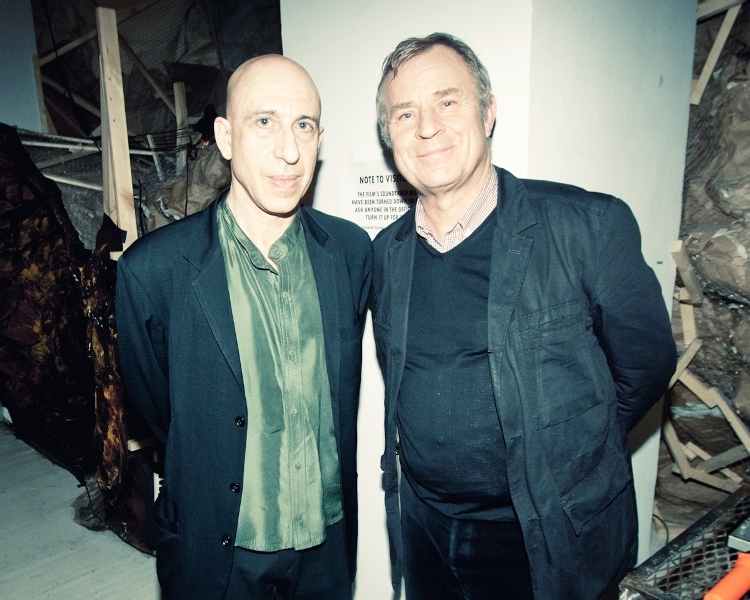 Sharp's collaborators have included the Ensemble Modern, JACK Quartet, Debbie Harry, Sonny Sharrock, Nusrat Fateh Ali Khan, blues legends Hubert Sumlin and Pops Staples, Radio-Sinfonie Frankfurt, and conceptual artists Christian Marclay and Pierre Huyghe. A documentary about Sharp's work, Doing The Don't, by Bert Shapiro has been recently released and screened in international festivals. Jack Womack is an American author of fiction and speculative fiction. Jack moved to New York City in 1977 where he lives with his wife and daughter. His books include of Random Acts of Senseless Violence (1993), Heathern (1990), Ambient (1987), Terraplane (1988), Elvissey (1993, Going, Going, Gone (2000), Let's Put the Future Behind Us (1996), Lying to Children (2004) and the libretto for Elliott Sharp's opera Binibon (2005). 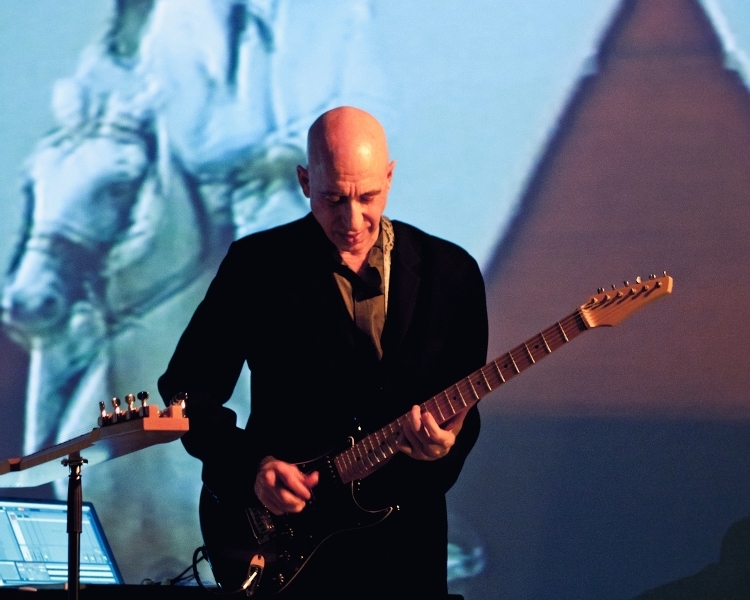 Guitarist and composer Elliott Sharp in Beneath the Valley of Gwangi, a solo performance for guitars and electronics presented at the Clocktower Gallery on Jan 24, 2012 as part of the gallery’s performance series produced for the Canyon Candy exhibition and its Western-themed fantasy. 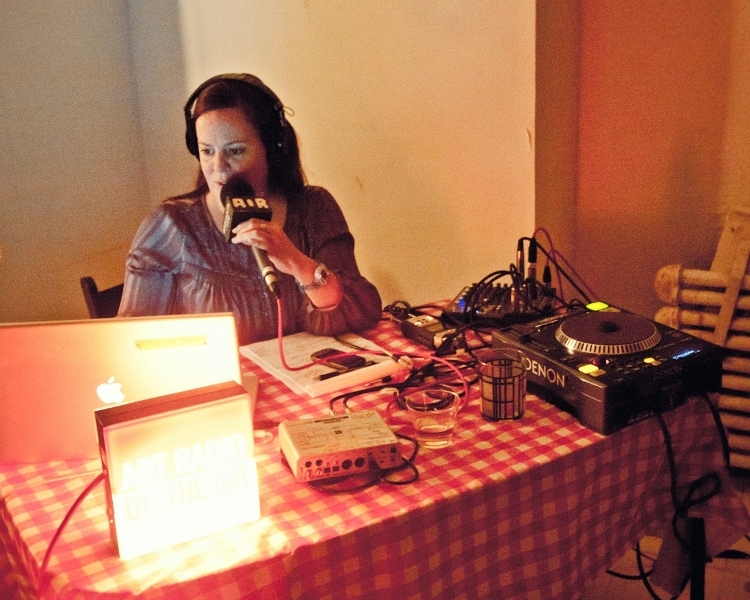 Artists Mike Anderson and the band Javelin, creators of Canyon Candy, supported the contribution of the composer and many other artists who expressed interest in occupying the installation space and adding other levels of interpretation. 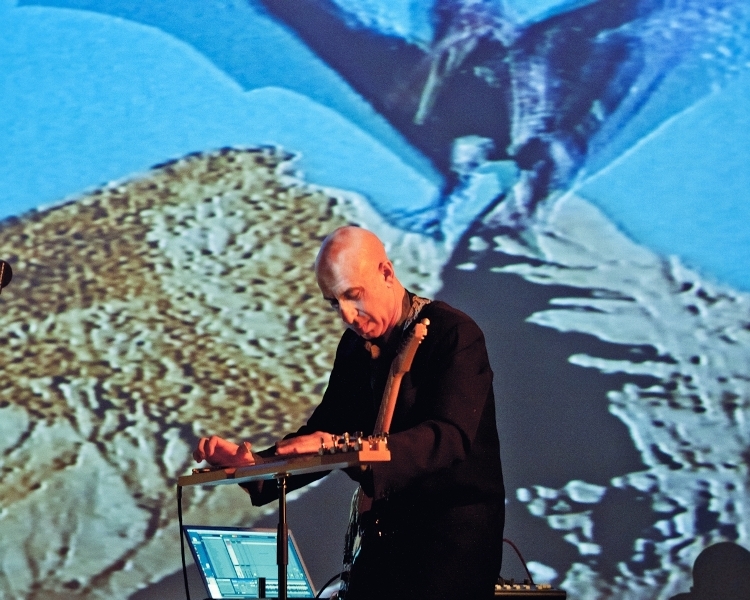 In this case, Elliott Sharp presented his own soundtrack to the 1969 Ray Harryhausen film, The Valley of Gwangi, in which a band of cowboys encounters a dinosaur invasion. Sci-fi author Jack Womack introduces the show.